Here are 10 facts you probably didn’t know about Celiac Disease. Celiac Disease is often misdiagnosed. Over 80% of Americans who suffer with Celiac Disease are undiagnosed, and many of them have been misdiagnosed with other illnesses. It can take years before Celiac Disease is diagnosed. In fact, the average Celiac Disease patient has to wait 6-10 years before they are correctly diagnosed. There is no cure for Celiac Disease. And, unlike most other health conditions, there is no medical treatment either. The only existing natural treatment is a 100% gluten-free diet. Celiac Disease is more common than you might think. 1%, that’s 1 in every 100 people, have Celiac Disease worldwide. That’s not taking into account people who are simply gluten intolerant, which is closer to 5-10% worldwide. 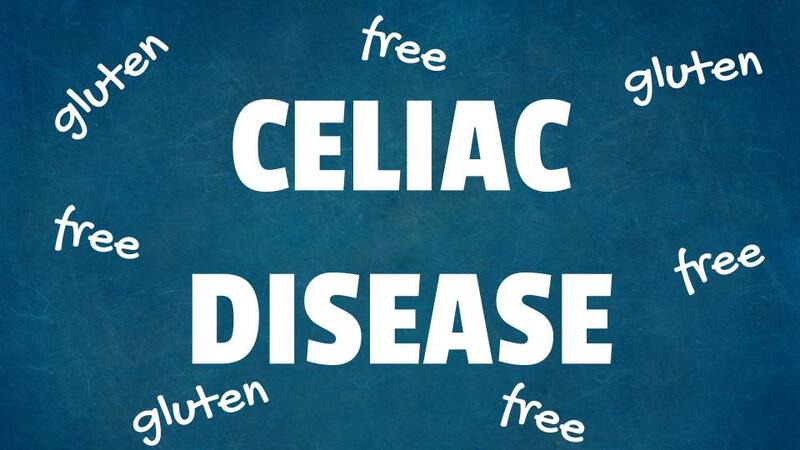 Left untreated, Celiac Disease can lead to other health problems. And as we learned earlier, the only treatment for Celiac Disease is a 100% gluten free diet, which means that most problems occur when a person hasn’t been diagnosed. Without an early diagnosis, the chances of developing cancer, diabetes, osteoporosis, or even infertility raise dramatically. There are over 300 symptoms of Celiac Disease, including fatigue, vomiting, abdominal pain, and constipation, to name just a few. Most of these symptoms can be avoided by having a gluten free diet, so the symptoms are generally worse in those who are undiagnosed. Celiac Disease can develop at any age, not just when you’re a child, as is commonly believed. You generally aren’t born with Celiac Disease, it’s something that develops as you age. In fact, in a recent study, it was shown that the elderly are at greatest risk for developing Celiac Disease. Even small amounts of Gluten can can lead to serious reactions. Exposure to as little as 30 milligrams of gluten (which is about 2% of a slice of bread) can trigger serious damage to the intestines. It also triggers the 300+ symptoms we mentioned earlier. Although a small percentage of Celiac Disease patients don’t experience symptoms when they eat gluten, damage to the intestines still occurs, and there may be serious repercussions in the future. Celiac Disease can damage bone. Both bone loss and bone weakness are possibilities, and both can lead to osteoporosis. In fact, it’s recommended that patients of Celiac Disease go through regular screenings for osteoporosis to stay on the safe side. Unfortunately, bone damage is not a symptom of Celiac Disease, and therefore cannot be prevented with a gluten free diet. However, calcium supplements can be taken to lessen the chance of bone damage. Celiac Disease can be genetic. 20% of people diagnosed with Celiac Disease have an immediate family member who has also been diagnosed. Without proper treatment, Celiac Disease can become life-threatening. Again, because the only treatment for Celiac Disease is a gluten free diet, the major health concerns come with late or non-existent diagnoses. According to one study, undiagnosed Celiac Disease can increase your risk of death by 300%.